24 February 2018 will mark 100 years since the proclamation of Estonia as an independent, democratic republic. 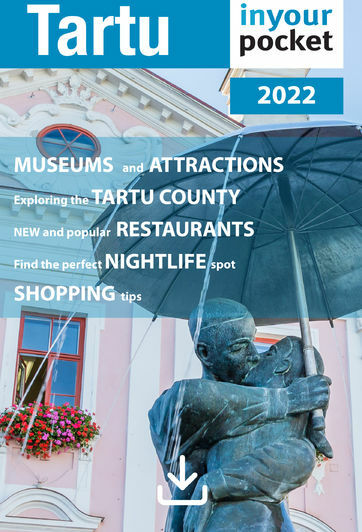 It’s an important milestone in this small country’s history, and festivities, both in Estonia and abroad, surrounding the centenary will be taking place from April 2017 to February 2020. Estonia 100 is a celebration for everyone, with a special focus on children and youth, as well as building a better future together. The programme will engage every part of life, giving not only Estonians at home, but also Estonian communities abroad the opportunity to look at the past and set goals for the future. As the focus of the centenary is on children and youth, one of the biggest initiatives of Estonia 100 is “An Instrument for Every Child”, which is a project to help fund the purchase of musical instruments for schools across the country. Students all over Estonia have also been planting acorns and growing saplings for the Estonia 100 Oaks project to plant oak groves in honour of the centenary. Also, part of the celebration will be the opportunity for gift giving. Many local communities, NGOs, ministries, business, and individuals will be taking part. Everyone is welcome and everyone can take part in Estonia 100. Visit https://www.ev100.ee/en to find out more.